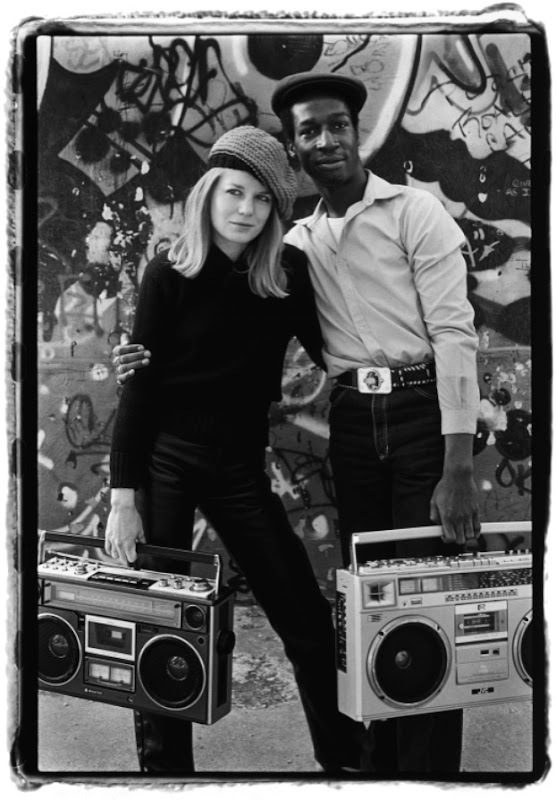 Photo of Tina Weymouth and Grand Master Flash by Laura Levine, 1981. This photo was taken just after Weymouth started her Talking Heads side project Tom Tom Club with her husband Chris Frantz. Their track Genius of Love had just been sampled by Grandmaster Flash on It’s Nasty (and then again in the 90s by Mariah Carey). According to the photographer this photo was the first meeting of Tina and Grandmaster Flash. —via The Strut. yes. tina is my hero. check out the jumpsuit she wears during "stop making sense" totally original. She's one of my all time favorites!! What a perfect rock goddess.